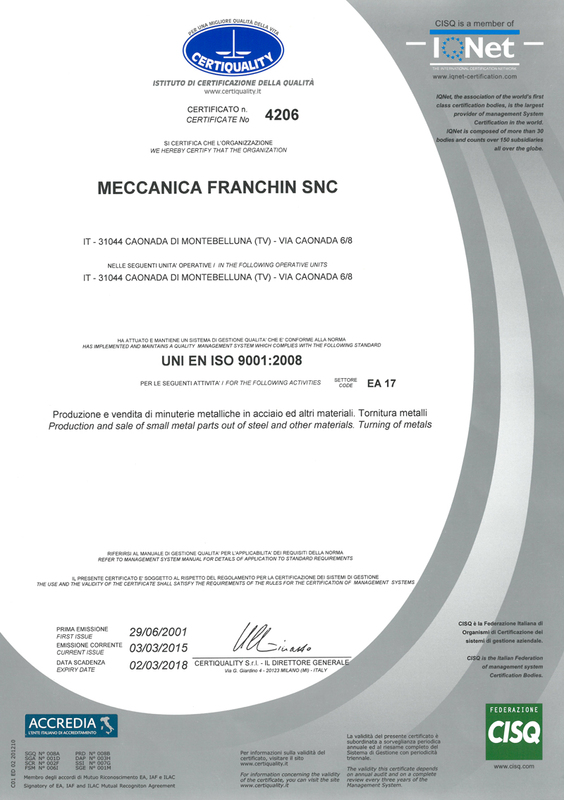 Fully aware of the continual challenge generated by both the national and foreign markets Meccanica Franchin has made top quality its priority, investing heavily both in production technology and in tools and instruments in order to guarantee customers maximum precision. 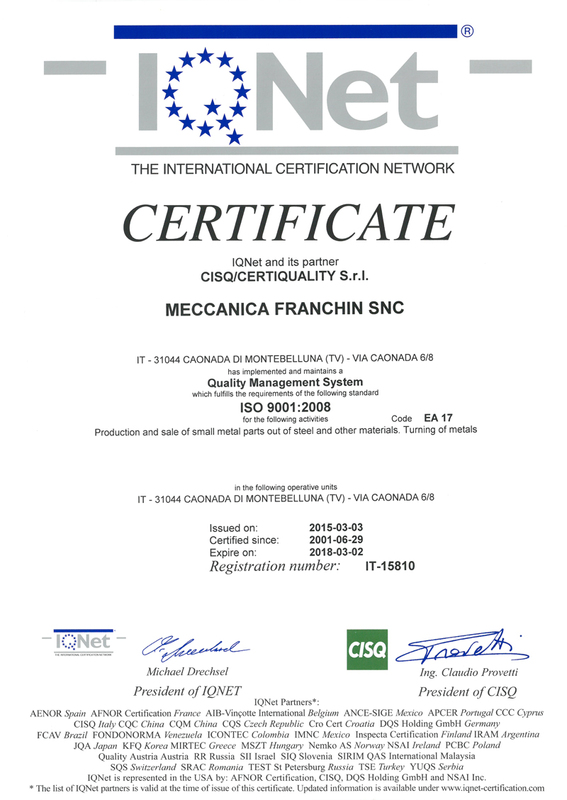 Meccanica Franchin can guarantee customised quality: it offers the possibility of carrying out specific controls in proportion to the critical features of the product, including the zero waste total selection. 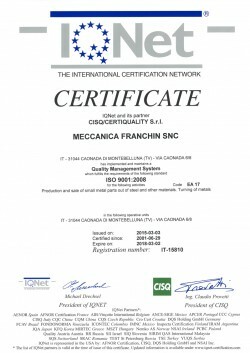 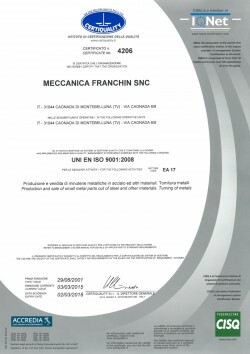 Years ago Meccanica Franchin decided to work in conformity with the ISO 9000 quality assurance models to ensure that its customers received high quality products and services, activating continual improvement processes that have led to obtaining the UNI EN ISO 9001:2000 (VISION 2000) certificate, which is an important goal for achieving total quality.